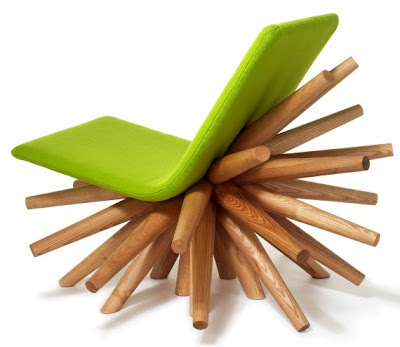 Collection of ‘Modern and Creative Chair Designs’ from all over the world. 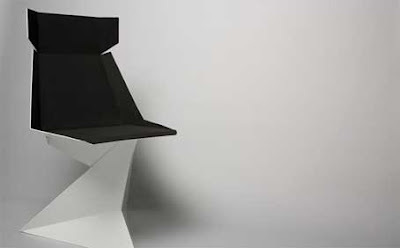 This chair was inspired by Origami, the goal of this art is to create a given result using geometric folds and crease patterns. 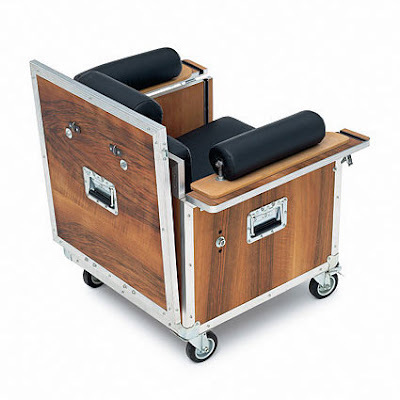 Made from wood, aluminum, leather; for those who are always on the move. 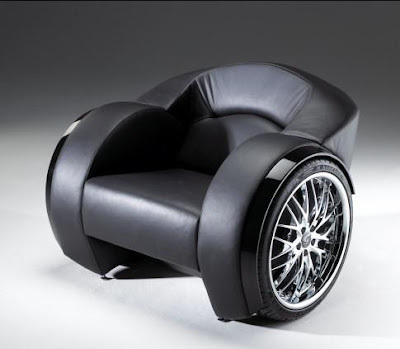 The sonic chair provides a unique audio experience, allowing you to sit at the very center of a sound system. You can connect your notebook or listen to CDs. 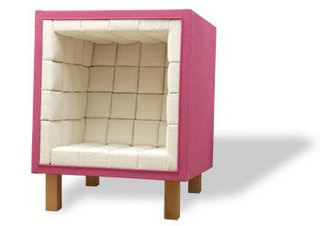 The musical chair features a calcium carbonate poly-coned woofer seated in the center of the chair. 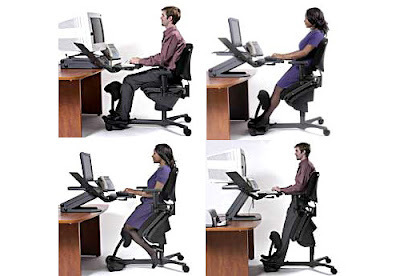 The Stance Angle Chair comes up with just about every position you can think of that is acceptable in the modern workplace, sure to improve your productivity. 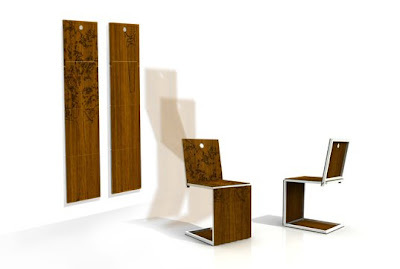 These chairs are made by Emosign and are called "Evolution One". 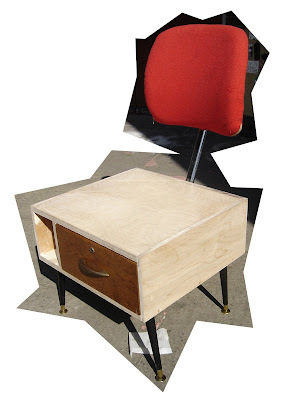 Paddy is a concept chair from N Melville that was part of the Designers Block London exhibit. 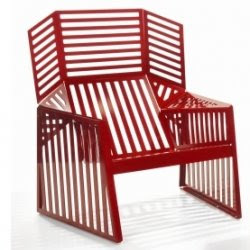 Designed by Vincent Lai, the 'Reflection Chair' is for everyone who wants to relax, reflect, and concentrate. Cool seat for videogame playing. 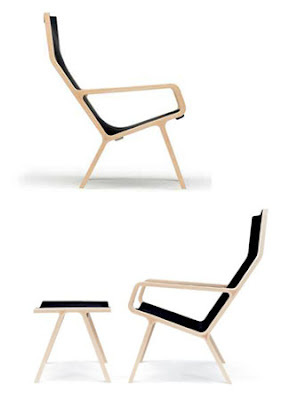 This elegant design 'Omni chair' is designed by the Swedish architects Marten Claesson & Eero Koivisto. 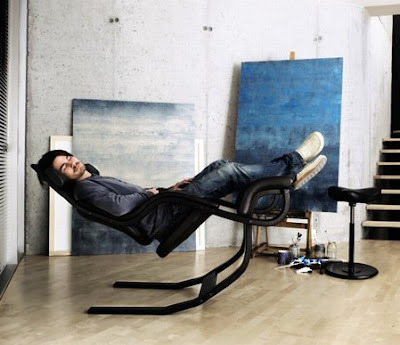 To turn it into a chair, you simply take it off the wall and set it on the ground. Designed by Vladimir Tsesler & Sergei Voichenko. 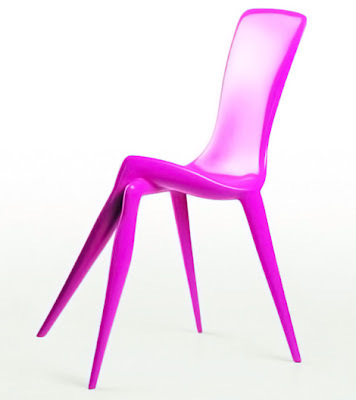 These chairs are made by Italian manufacturer Calligaris. 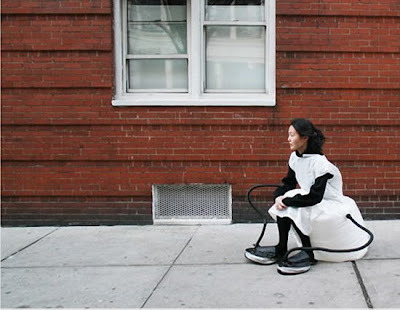 Self-Sustainable Chair, a dress made out of polyethylene, connected to shoes that pump air into an inflatable bubble attached to its backside on each step. 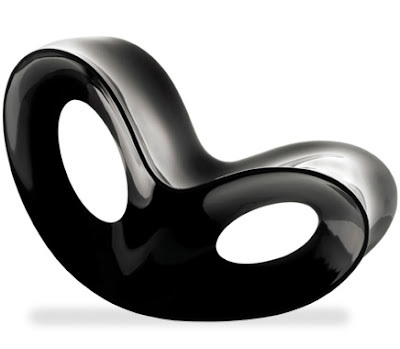 The Caramelo rocking chair from Mexican designer Luis Luna. Some restaurants change their cutlery every few months and this Cutlery Chair utilises and creates functional furniture. 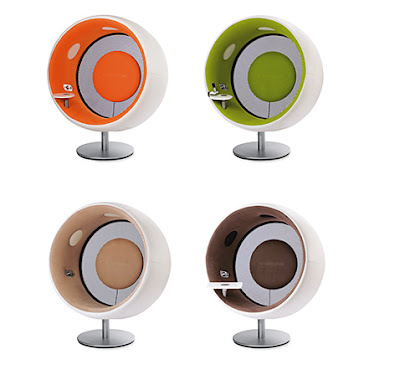 Reusable components are used from old furniture and fittings, and is then combined with a touch of FSC plywood to create unique ones. 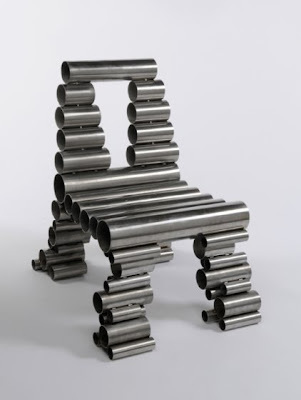 The tube chair is made from stainless steel tubes. The new Schultz outdoor furniture collection. From the geometric composition of its elements to the colors employed, the armchair fully reflects the philosophy of the H LINE. 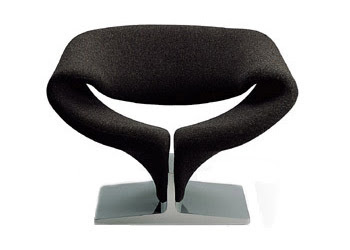 Foam upholstered, steel, aluminum base, design Pierre Paulin, made in The Netherlands by Artifort. 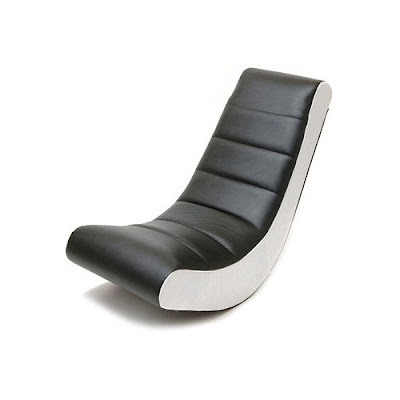 The Voido rocking chair is a welcome twist on a classic design. 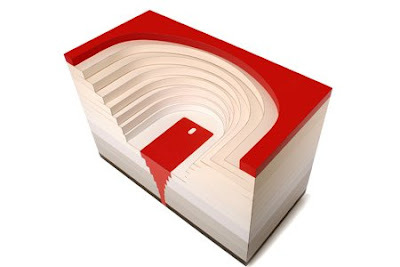 Made from a rotational polyethylene. 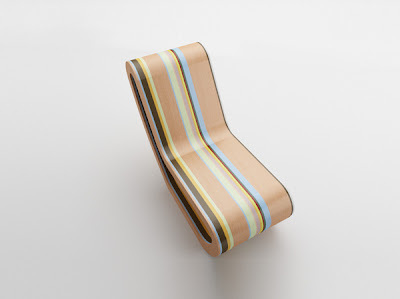 The Ribbon Chair is among one of the most comfortable chairs ever. Design Le Corbusier, Pierre Jeanneret, Charlotte Perriand, 1928. 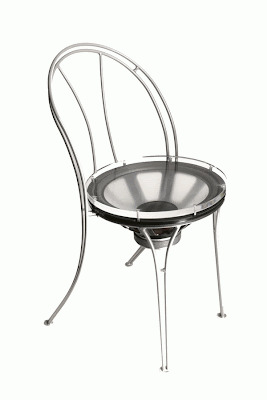 Sling seat, metal frame. 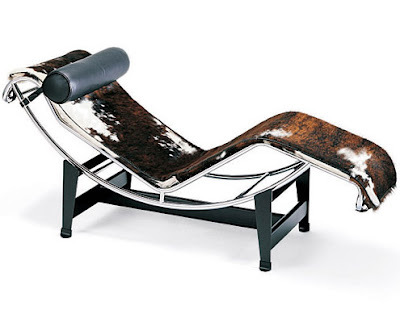 Made in Italy by Cassina. 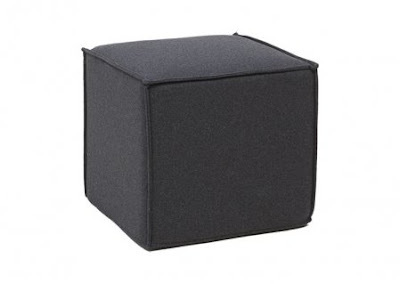 Space pouf in black vision. 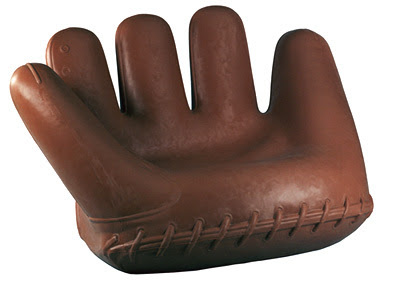 "From Heller comes "Joe" a surreally oversized baseball glove first produced in 1970 in leather, now reissued in indoor/outdoor roto-molded plastic in either brown or marble gray." 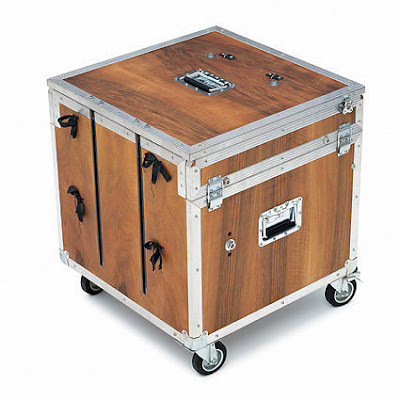 This one has a nifty & huge slide-out storage compartments were you can store your books or just anything. 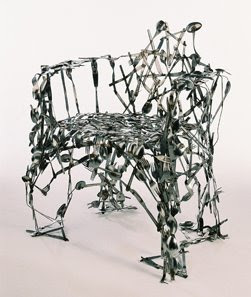 chair. 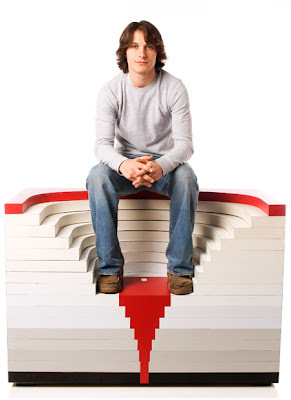 Here we have a creative design, the 'Step Chair' by S Spadt, a student at the Philadelphia University. 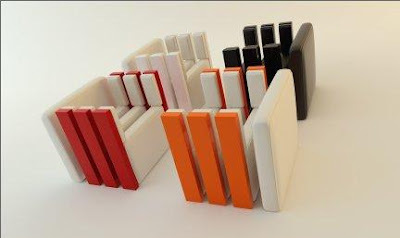 Inspired by Wilson Art's Laminate, the steps represents the transformation happened over the last century; it also indicates the way the company has progressed to be a market leader. The color combination used for the steps is also quite attractive. 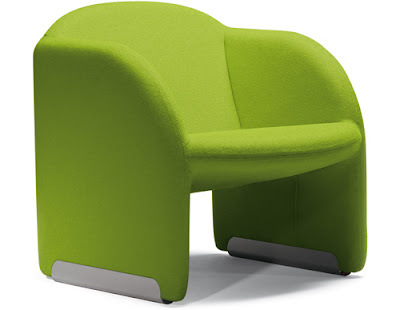 Don't miss to check out "Creative Chairs and Modern Chair Designs: 1| 2| 3| 4| 5." Anamorphic Illusion Of Cardiff Bay. Amazing Street Paintings Of Kurt Wenner.